Konbu is an essential ingredient in Japanese cuisine. Like wine, the quality and flavor differs by the variety, region and climate. Makonbu is the most popular variety which produces clear stock with rich aroma and refined sweetness. 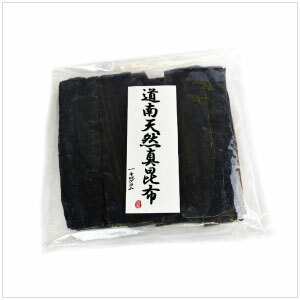 More than 90% of Konbu production comes from Hokkaido, and Shirokuchi-hama region, southwest shore of Hokkaido, is known to produces the best quality Makonbu.